Part of what makes The Phillips Collection unique is that the art on the walls is always rotating. But it is also important to note that some of the residents of the collection do have permanent homes. So permanent, in fact, that they were built right into the walls. 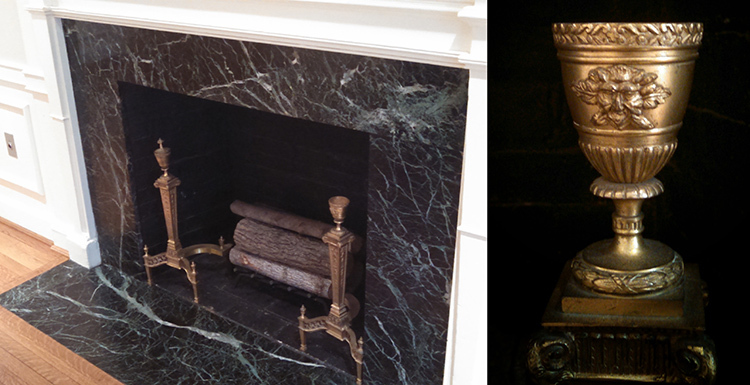 Many visitors are perhaps familiar with the ornate and beautiful detailing of the Music Room fire place, but sprinkled throughout the gallery are several others—each with their own unique details, styles, and character. Here a just a few examples of what can emerge if you look closer. This little guy is a permanent resident of the West Parlor. What have those little baby eyes seen through the years? The repeating fleur de lis-style pattern on these bricks lies underneath a glassy, cracked glaze. From certain angles, you can barely make out the design at all. Hidden swirls and circles everywhere! 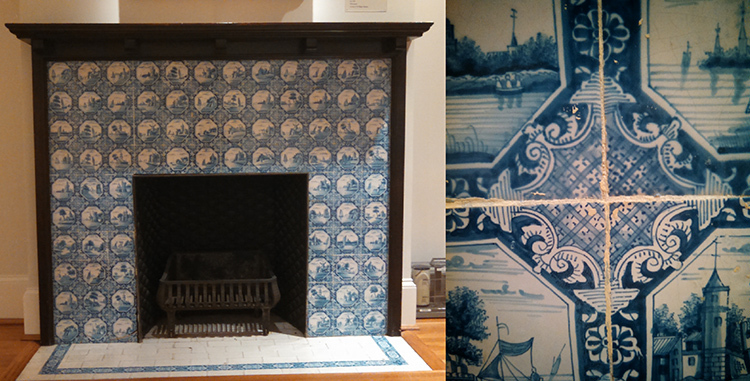 This fireplace has a decorative wrought-iron detail and a textured fireplace interior wall. 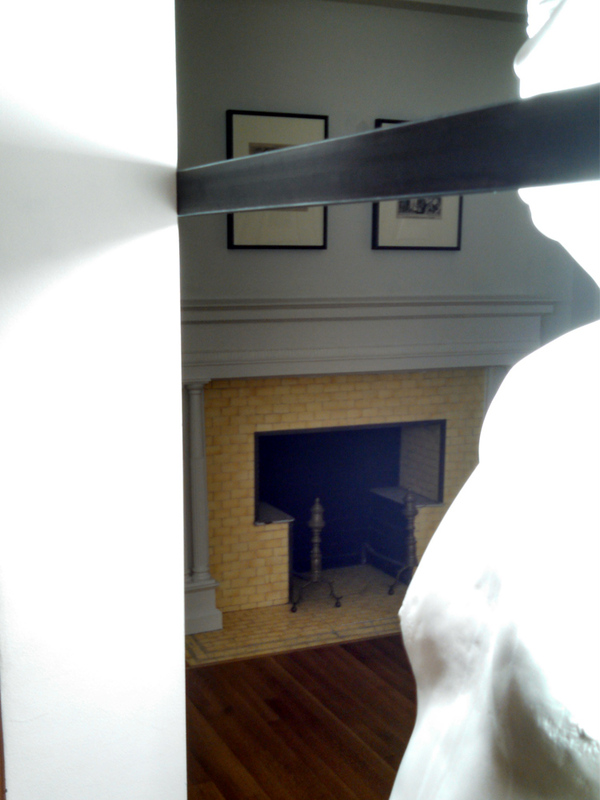 Check back tomorrow for more fireplace details.